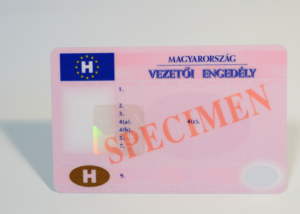 The new electronic ID cards were launched on 1st January, 2016 in Hungary. 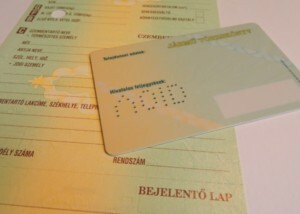 The cards are supplied by the consortium led by ANY Security Printing Company. 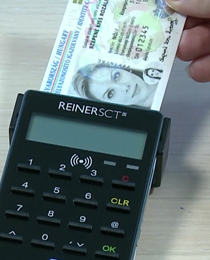 The contactless chip cards containing fingerprints are new not only in terms of their security solutions, but can also perform several electronic functions: they can be used for electronic signatures, identification before tax and social security authorities and as an electronic travel document. 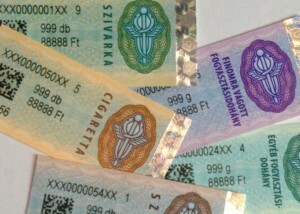 The new document was created in just seven months. Nowhere else in the world has such a serious document with security functions ever been created in such a short time. 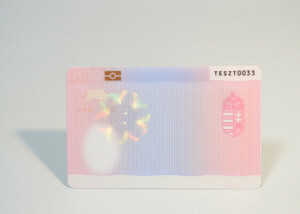 The renewed identity card is protected by 16 safety features, including Braille, transparent holograms, security background, MLI feature, laser engraved document number, metallic hologram, OVI feature and a two-dimensional barcode. All the documents of public administration need personal, biometric data to be collected from applicants. We can procure various types of third-party supplier’s biometric data capturing peripherals, such as cameras, iris scanners, fingerprint readers, signature pads, scanners, etc. We integrate them to a Data Enrolment System, which can manage collected data. The secure stored data complies with the requirements of ICAO and ISO/IEC standards. Documents with custom security solutions, developed by the Document Security Laboratory, are produced in an audited environment in accordance with the strictest data security standards. 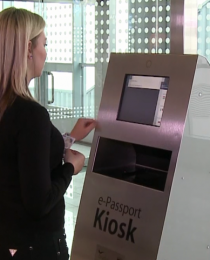 The company offers world-class solutions both in terms of electronic identification and biometric technologies. 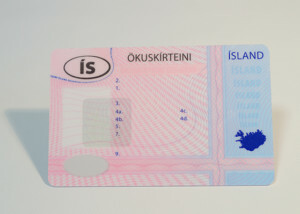 Our printing company can produce ID1, ID2, ID3 type documents, and electronic biometric passports and visas. We offer ID document personalisation using document printers installed in a document personalisation centre or at an external government site. 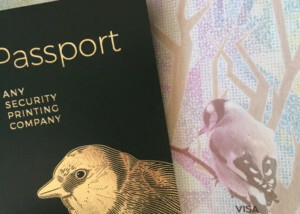 After central filling—laser engraving and contactless personalisation of chips—the documents are put into an envelope and mailed. For personalisation at a document office, we offer to deliver not only the basic print, but also the necessary inkjet and laser document printers. Thanks to continuous development, we offer full-scale verification device systems. 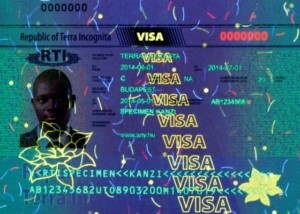 The custom developments of the Document Security Laboratory guarantee that the use of control devices not only enables reading and forwarding data content to a central database during the monitoring process, but the custom security features placed in the basic document can be identified as well. We support the implementation of document-related projects of governments and the public administration sector by working out a full concept and with professional advice, planning and ID project management. 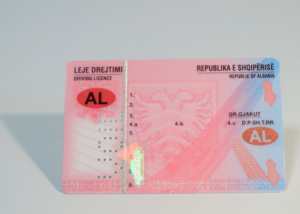 On the basis of international standards, the electronic IDs developed by our experts can perform several functions and are perfectly adapted to the individual administrative and privacy system of any given state. Introducing a new document issuance system is more than an IT implementation project. Our company has the technological and professional background for production and personalisation of many types of documents, thus our experts can help customers to be efficient and successful in such projects and offer full range of biometric ID services.